Little Cigar Ware House is one of the top community of cigar, cigarillos, and tobacco loving fans and experts. With us, you can connect with your favourite cigar brands and manufactures and thus, receive product tips on new cigar releases, and explore them. If you are looking for the best flavoured tobacco online then it's time to take wild horse pipe tobacco for a spin. We provide a large volume of flavoured tobaccos which is the best smoke for the smokers at a very affordable price. Now save big at Little Cigar Ware House and enjoy the fastest shipping. 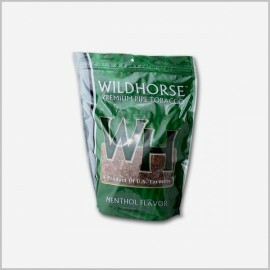 Buy tobacco online- Wild horse pipe tobacco delivers a warm pipe smoking experience with a darker flavour. 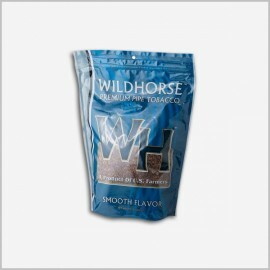 Wild Horse Flavoured Tobacco is proudly packaged and manufactured in the United States, as this tobacco deliver a great smoking experience at the affordable and incredible prices. 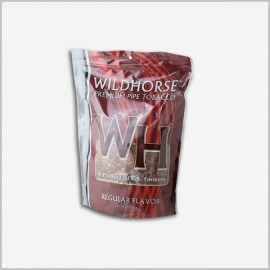 Each bag of these flavoured Wildhorse Tobacco is packed in a thick reseal able pouch to ensure the long lasting freshness. Find the cheapest Wildhorse Tobacco online that give you the same joy as expensive tobacco/cigarettes. Buy tobacco online- Little Cigar Ware House offer the largest variety of tobacco and related tobacco products at the lowest possible prices in the industry. The wide range of Wildhorse Tobacco including Wildhorse Pipe Tobacco Regular 16 oz [Full Flavour], Wildhorse Pipe Tobacco mild 16 oz, Wildhorse Pipe Tobacco menthol 16 oz, and many more. So, whether you are searching for that extra flavor in the smoke or you just want to keep some tastes out of your tobacco, try out these products from some of our best brands of tobacco. Hurry, stock up on a variety of Wild Horse Pipe Tobacco blends at the lowest prices here at Little Cigar Ware House.